Are you too lazy to open the door or switch on a light? Let Windows 10 and its Cortana voice-activated digital assistant do the job for you. Microsoft's vision is to make home automation a breeze in Windows 10, and the company featured several related Internet-of-things announcements at its ongoing Build conference. 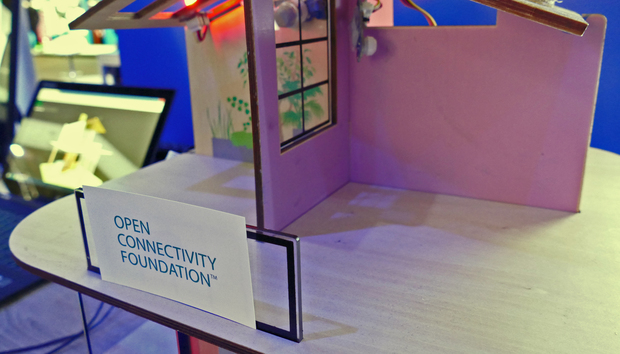 Windows 10 will work with a wider range of devices and appliances by integrating new Open Connectivity Foundation (OCF) protocols, scheduled to be released in 2017. Additionally, Cortana will allow users to easily automate tasks using a Windows PC, mobile device, Xbox console or Raspberry Pi 3. Users will be able to program "actions" so Cortana can be used to switch on lights, air conditioning or even unlock cars. For example, users will be able to speak, "lights" to their smartphones, and the bulbs will turn on. Or even better, users can tell Cortana to "unlock home door," which will open the door and trigger a series of additional actions like switching on the lights and the air conditioning. A command like "party" could switch on the music and the disco lights. Actions can also be based on the time of day or on information from connected sensors. The actions can be attached to specific profiles in Cortana like "activate smart home." The connected devices will need to be discovered by Windows 10 and be on a list of approved devices, much like how the OS discovers and lists wireless printers and other hardware. But Windows doesn't support all devices right now, and the OS works with only those based on the AllJoyn protocol. Support for a wider range of devices will come with the integration of protocols established by the OCF, which will unite the disparate IoT standards under one umbrella. OCF unites AllJoyn, which boasts Microsoft and Qualcomm as members, with the competing Open Interconnect Consortium (OIC), with key members including Intel, Samsung and Dell. The companies are working together to converge device discovery, security and connectivity tools under the OCF banner. End users will benefit from this union. For example, they will be able to use Windows 10 and Cortana to switch on a Samsung Smart TV, which is currently compatible with OIC protocols. OCF will provide the common language for most of the smart devices to interact, Jason Farmer, principal program manager lead for Windows IoT at Microsoft, said during a presentation at Build. "Fragmentation is the enemy of IoT," Farmer said. Support for OCF tools and standards will be integrated into Windows 10 by 2017, Farmer said. The OCF standard, like existing standards, will support several types of connectivity, including Ethernet, Wi-Fi, Bluetooth and Zigbee. Until the integration is complete, Microsoft released an "open-source" bridge to connect OIC tools, called IoTivity, with the AllJoyn APIs. It will help AllJoyn devices talk to OIC-compatible IoT devices. Microsoft also announced a new open-source project called Open Translator for Things, which will help define schemas to create a common classifier of devices. The common classification will make it easy to identify devices, and will be a big tool in the process of converging AllJoyn and IoTivity into OCF. The translator will be available Tuesday through Github. A 24/7 Google-style campus for University of Utah, 2016?